Traditional in design and modest in scale, the elegant Mayville 4 piece twin bedroom set, now at RC Willey, takes its design inspiration from classic Louis Phillippe styling. Featuring an inviting slate gray finish and all of the traditional flare unique to the style—antiqued metal bale hardware and distinct framing—this collection is sure to be a timeless addition to your bedroom spaces! . 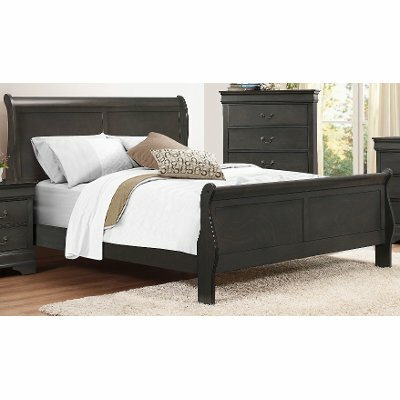 Traditional in design and modest in scale, the elegant Mayville twin sleigh bed is sure to impress and RC Willey has it! It takes its design inspiration from classic Louis Phillippe styling, but offers a fresh, contemporary appeal with its approachable slate gray finish. Traditional in design and modest in scale, the elegant Mayville dresser, now at RC Willey, takes its design inspiration from classic Louis Phillippe styling. 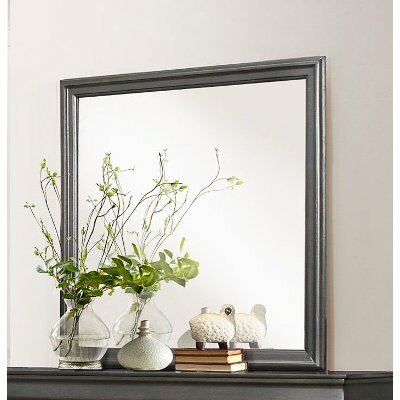 Featuring an inviting slate gray finish and all of the traditional flare unique to the style—antiqued metal bale hardware and distinct framing—this collection is sure to be a timeless addition to your bedroom spaces! 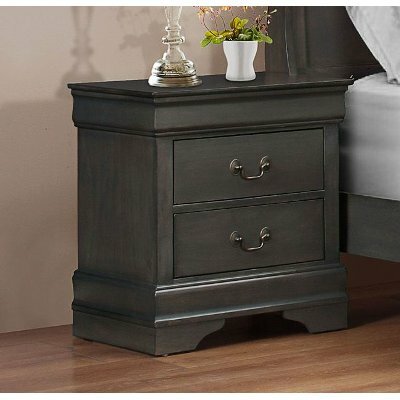 Traditional in design and modest in scale, the elegant Mayville nightstand, now at RC Willey, takes its design inspiration from classic Louis Phillippe styling. 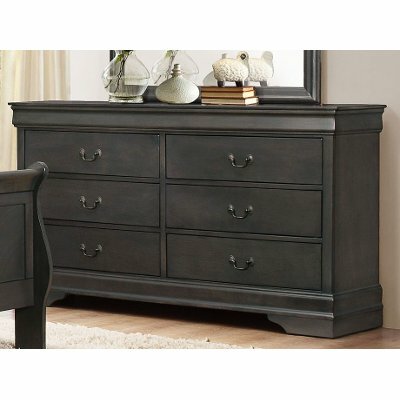 Featuring an inviting slate gray finish and all of the traditional flare unique to the style—antiqued metal bale hardware and distinct framing—this collection is sure to be a timeless addition to your bedroom spaces!